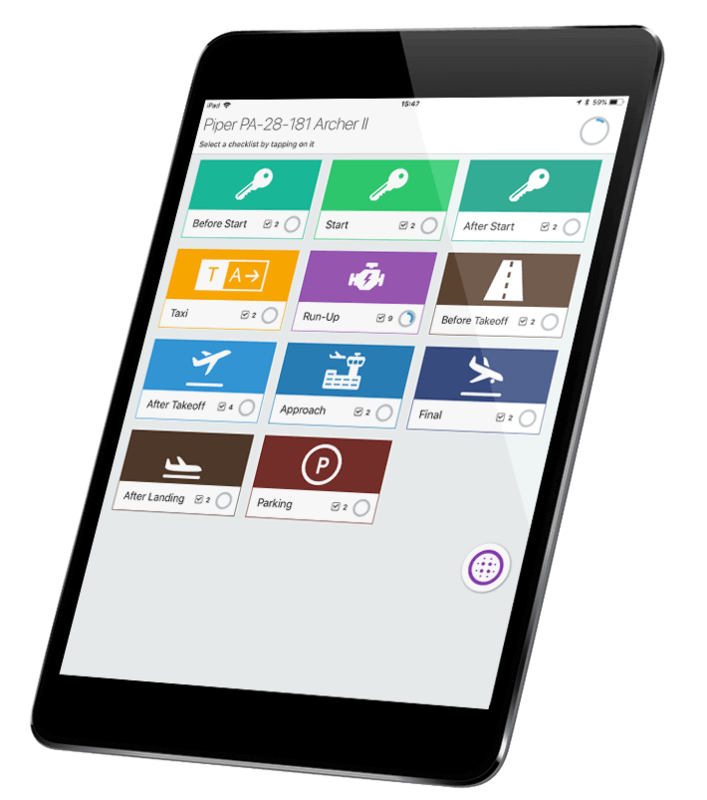 Declutter the cockpit and reduce workload with Pilot Assist Pro™ – the app that brings all of your pre-flight and in-flight resources to your iPhone or iPad. Your personal hangar is the place to be – select your aircraft from our wide range of popular manufacturers and get immediate access to mobile checklists and reference data. Can’t find your aircraft? No problem, you can customise your own. Never lose your place or miss a check item again – Pilot Assist Pro™ guides you through all items and confirms checklist complete. You can even customise checklists with personal reminders, reference data, diagrams and more. Always forgetting to record your off-blocks time? With Pilot Assist Pro™, log all flight times and upload to your home computer with the tap of your screen. Keep all of your flight data (times, crew information, Hobbs, Fuel and more) centralised and backed up, and prepare to ditch the paper! Stay up-to-date with live aviation weather and NOTAMs for your chosen stations. With Pilot Assist Pro™, you get live airport information, and raw and decoded TAFs and METARs whenever you are connected to the internet – and the latest data is synced to your device when you’re in flight mode! 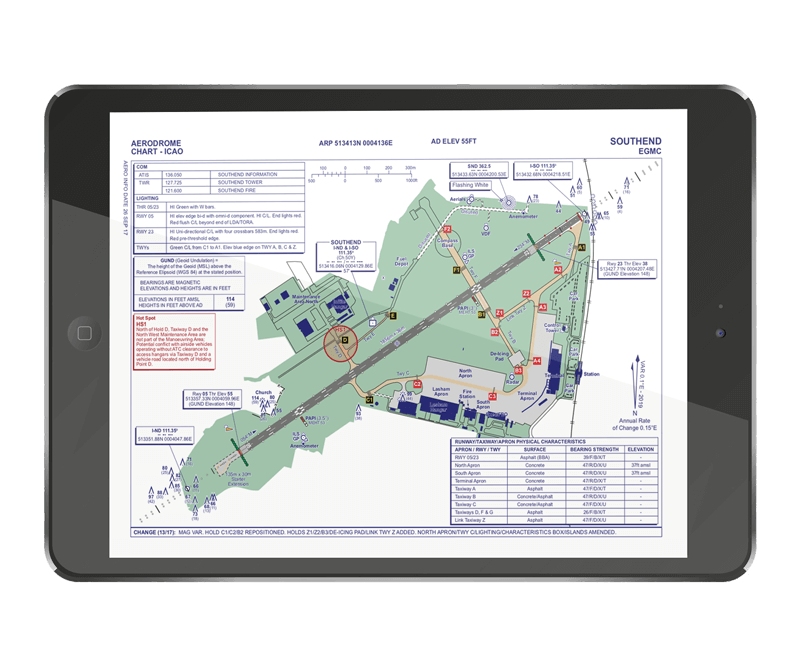 Access all of your flight documentation from your iPhone or iPad – charts, aircraft manuals, briefing notes and more. 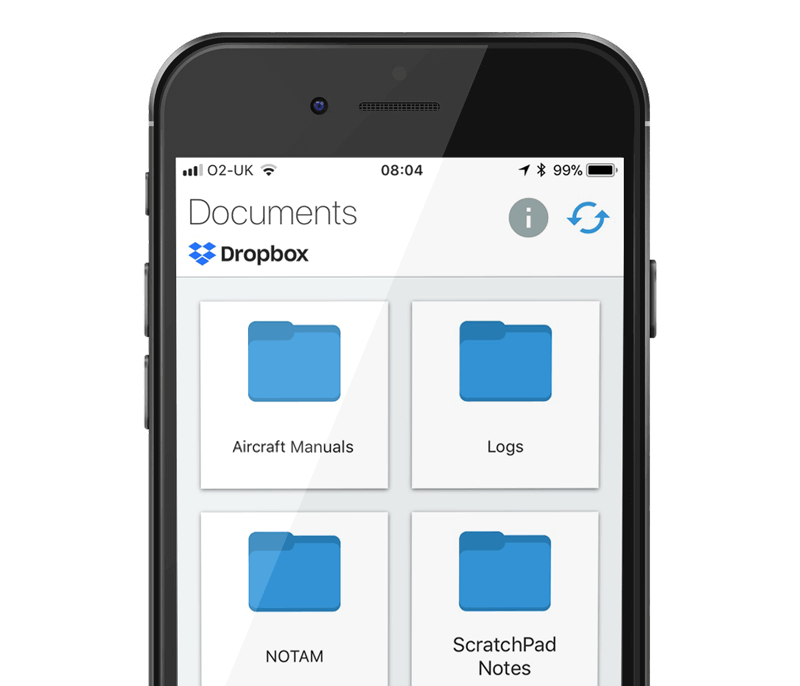 Pilot Assist Pro™ syncs seamlessly with Dropbox™ – so you can access all of your reference documents even when in flight mode. With Pilot Assist Pro™’s sync technology, all of your resources are available when you’re in flight mode. And when you have an internet connection, you can upload all of your flight data with a tap of your screen. Designed for all types of pilots, Pilot Assist Pro™ is your perfect flying partner. 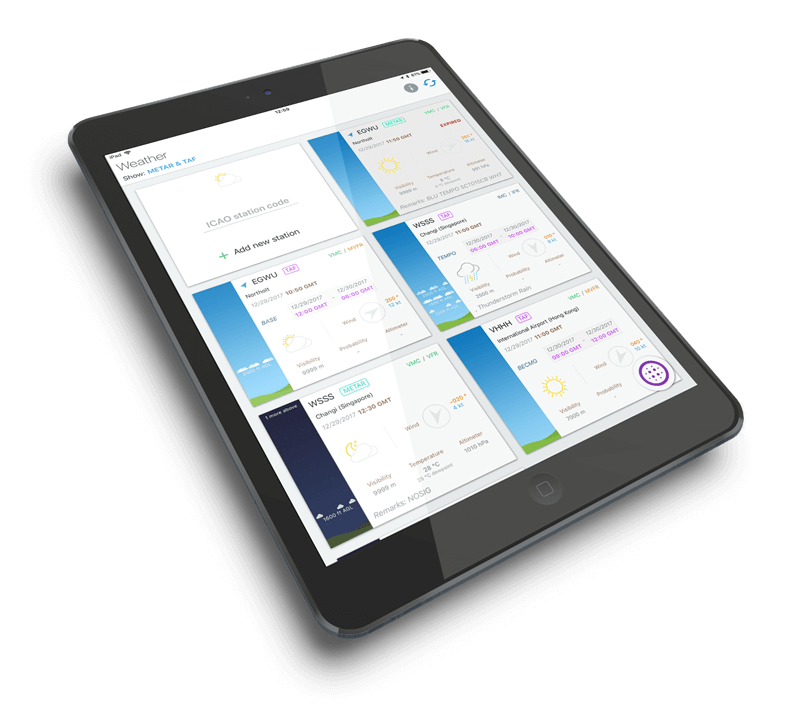 Declutter the cockpit and access all of your flight resources – checklists, manuals, weather, flight logs, NOTAMs and more – right from your mobile device. Checklists are at the heart of Pilot Assist Pro™. 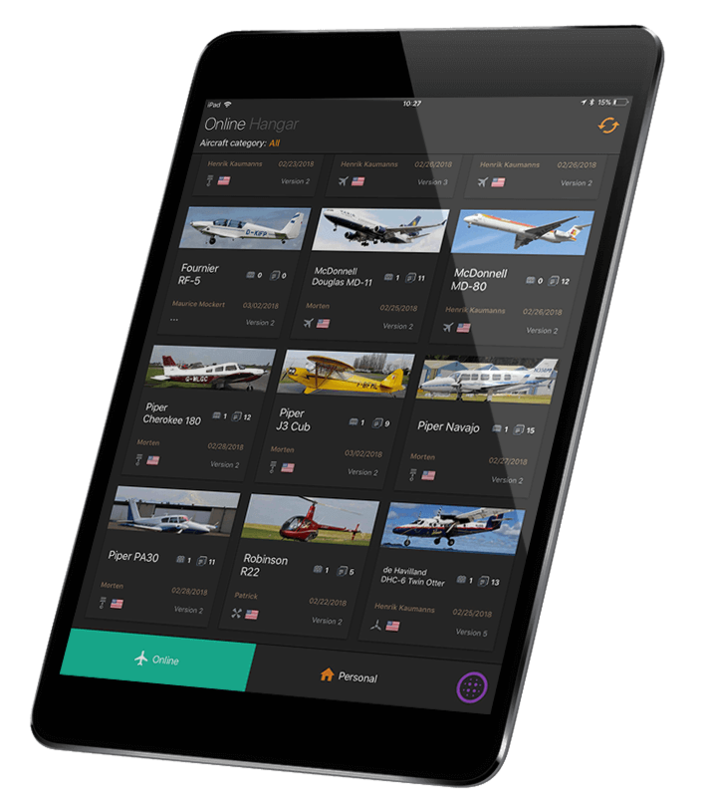 For every aircraft in your personal virtual ‘hangar’, you have access to the full range of checklists for that particular aircraft, direct from your iPhone or iPad. 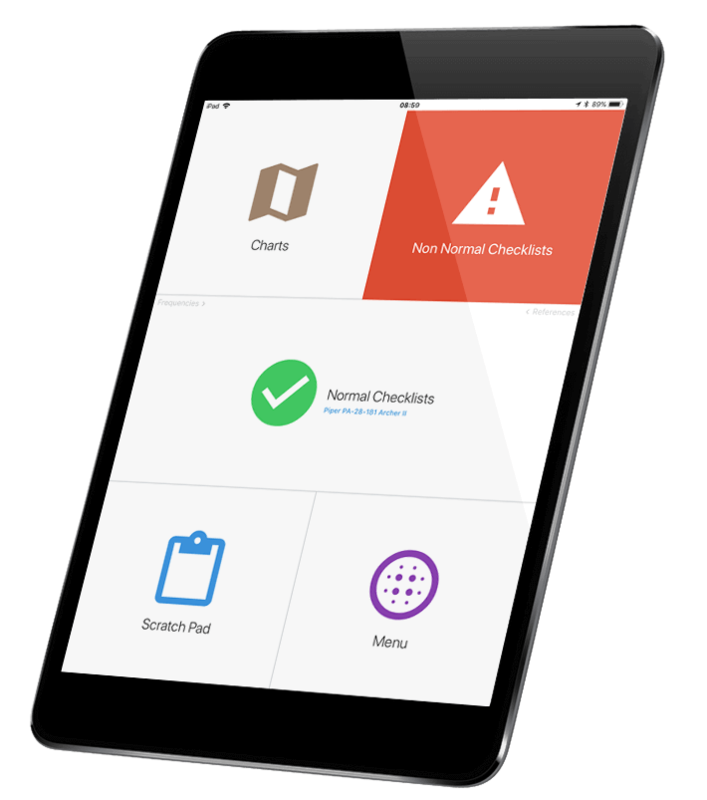 Never lose your place or miss check items again – with our interactive checklists, you step through each check item in turn with the tap of your screen. Only when all check items are complete will you receive Pilot Assist Pro™’s checklist complete confirmation. With our custom checklists, you can even create your own supplementary check items with personalised notes, reference data and diagrams – perfect for student pilots and flying schools. 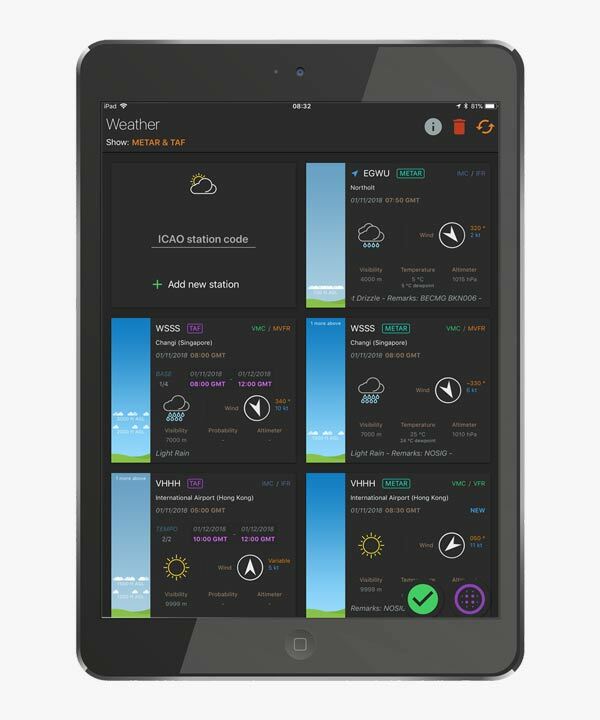 Pilot Assist Pro™ gives you live access to NOTAMs and aviation weather while your device has an internet connection. 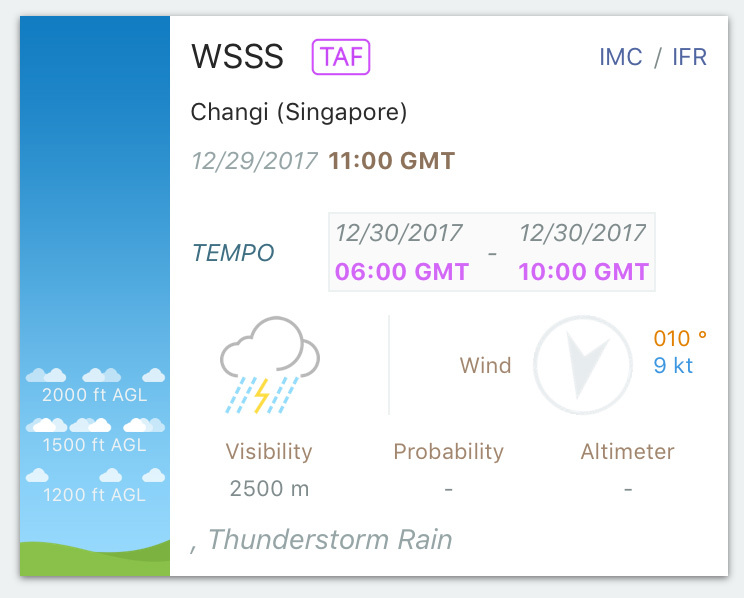 Simply locate your desired airports and weather stations using their ICAO code, and Pilot Assist Pro™ will immediately gather the latest airport NOTAMs, TAFs and METARs. 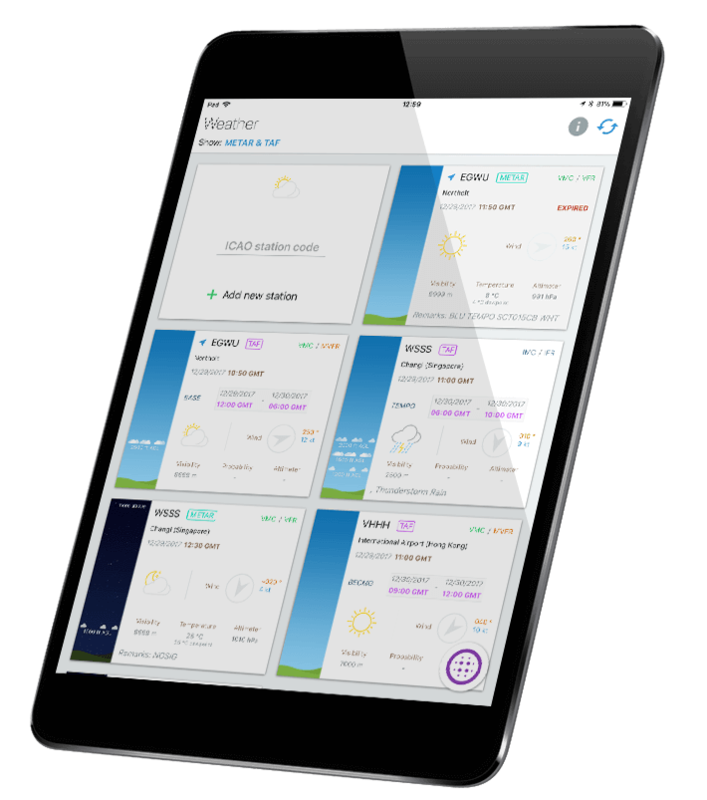 Our unique weather display can show raw TAFs and METARs, or fully decoded versions if you prefer – and with our Sky View display, visualising the cloud conditions – even complex multi-layered formations – is simple. Sky View gives an ‘at a glance’ cross section of cloud layers, with a visual representation of cloud layers and coverage. 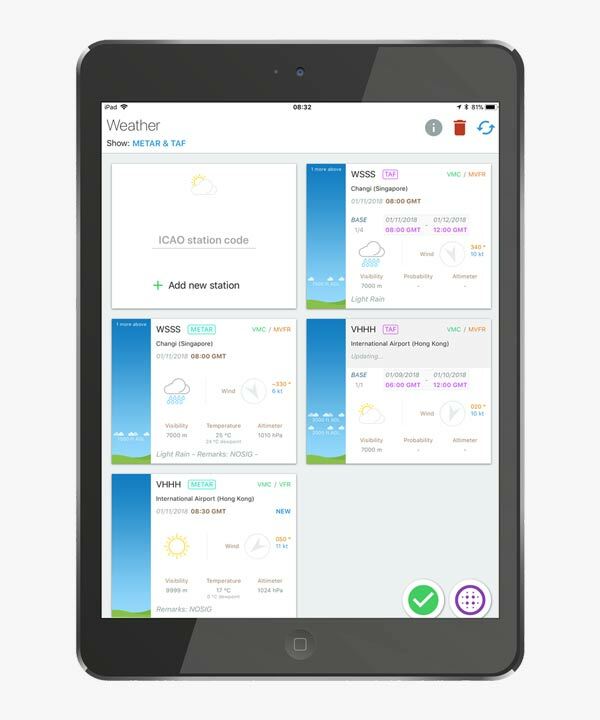 While you’re airside in flight mode, the last downloaded weather and NOTAMs are available on your device for offline access. Every pilot has experienced the frustration of having forgotten to make a note of a departure time, or lost the scrap of paper that their Hobbs figures were written on. 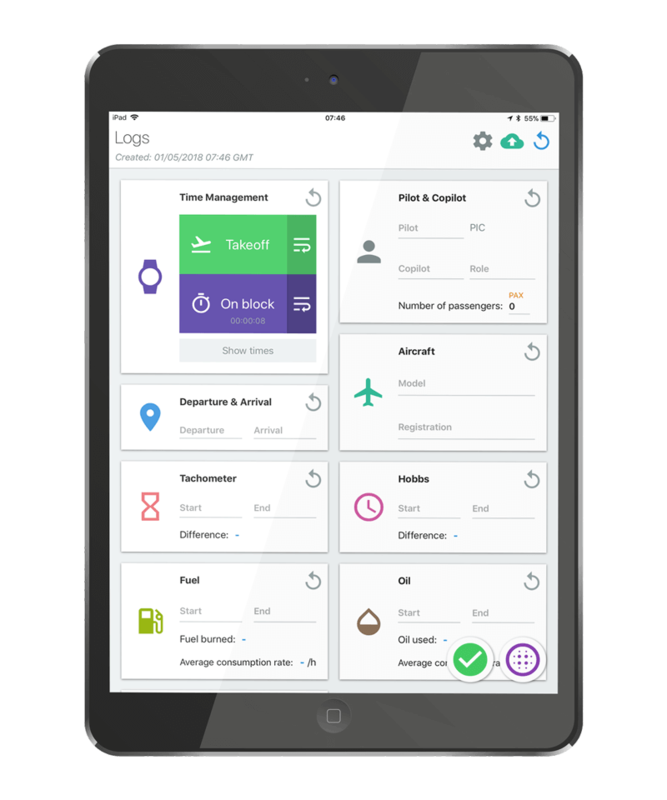 Flight logging becomes a breeze with Pilot Assist Pro™ – a single tap of the screen will automatically log your off-blocks, take-off, landing and on-blocks times – along with any additional flight data you want to record (crew information, aircraft registration, fuel, Hobbs, tacho and so on). One further tap of the screen will upload all of this data to the cloud via Dropbox™. Ever left documents or aircraft manuals in the crew room because weight and balance is marginal? Or because there’s simply no room in your flight bag? 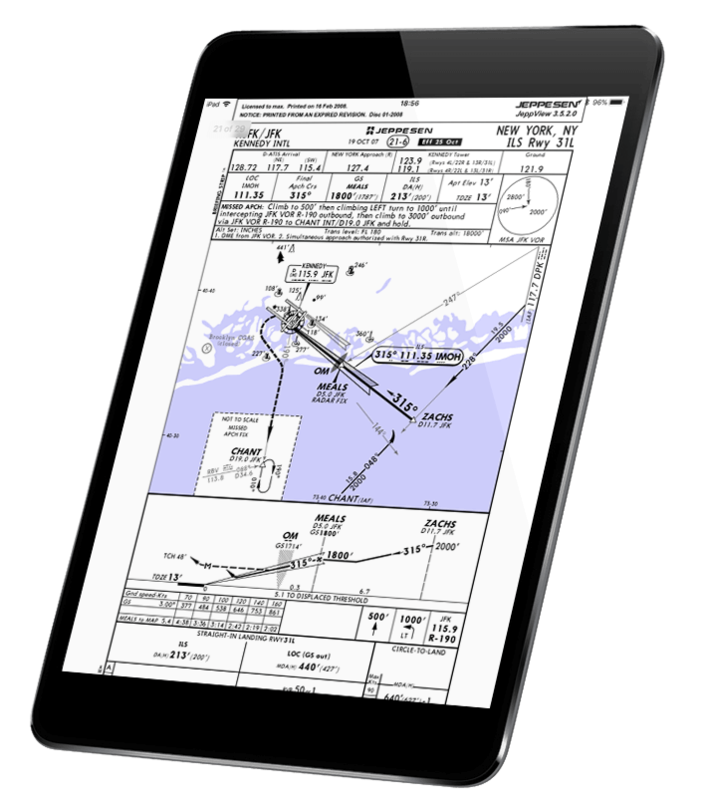 With Pilot Assist Pro™’s flexible documents functions, you get direct access to any of your electronic documents and charts, straight from your iPhone or iPad – the possibilities are limitless. 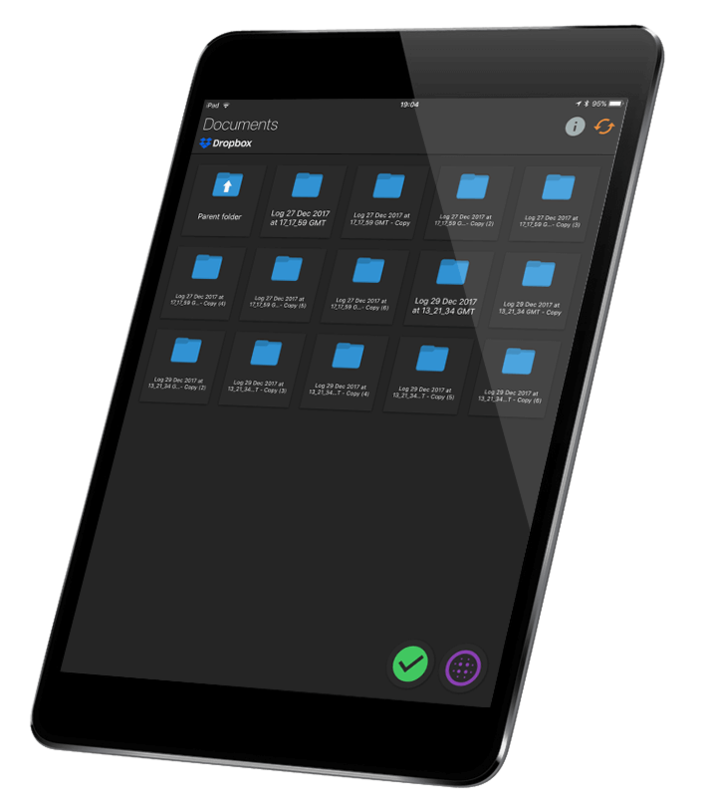 The app connects seamlessly to Dropbox™ and all documentation can be synced to your device for access even when you’re offline in flight mode. During times of high workload, it’s easy to forget important pieces of information – squawk codes, ATC clearances and so on – and up until now we’ve had to rely on our memory, or scribbling it down on your knee board (if you can find your pen). 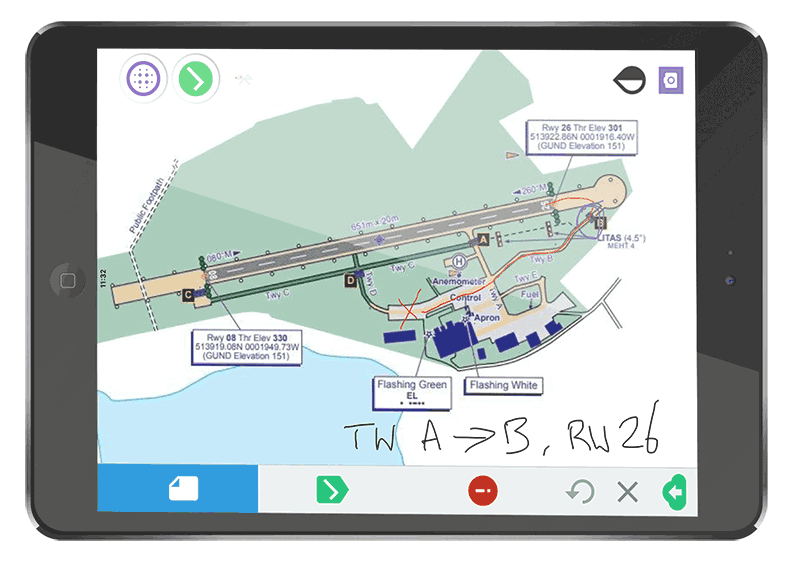 With Pilot Assist Pro™ your ScratchPad is only a tap of the screen away – ideal for jotting down those all-important pieces of information – and all you need is the tip of your finger! You can create up to 3 different ScratchPads at a time and, like all of your other flight data, your ScratchPad notes can be uploaded to the Cloud with a single tap. You can even use images (from your iPhone/iPad camera or library) as the background for your Scratchpad, allowing you to easily annotate charts and diagrams. ScratchPad also supports Apple Pencil. Getting access to the in-flight data you need, when you need it, can be a challenge for all pilots. And when you’re planning your approach, the last thing you need is to be searching around for ATC and nav frequencies, or other aircraft reference data. 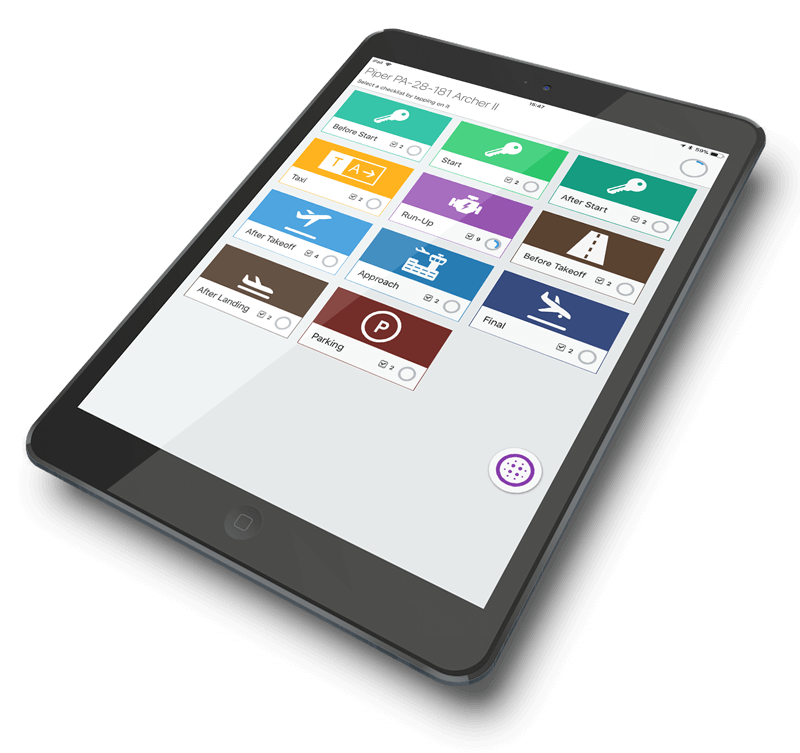 With Pilot Assist Pro™ you can store all relevant frequencies for your flight and key aircraft reference data (approach speeds, Vx, Vy etc) and have them available with a single swipe of your screen. Frequencies can be easily stored pre-flight, meaning that your most commonly used frequencies are always available within the app. All reference data is integrated with the aircraft you have selected from your hangar. Using your iPhone or iPad in flight puts a huge variety of information at your fingertips – but it needs to be available quickly, and mustn’t be a distraction when you’re not actively using it. If you select ‘Prevent Sleep’ within the app settings, your device screen will stay active throughout your flight, rather than going into sleep mode. This way, you won’t need to unlock your screen to access the information. And with Pilot Assist Pro™’s automatic day/night mode, the display will naturally switch between light and dark modes, preventing screen glare during night flying. Both settings are optional, and you can enable and disable at any time. Once you’ve authorised your Pilot Assist Pro™ to access your Dropbox™ account, uploading and downloading data to and from your device is as simple as the tap of the screen. This means that you can transfer charts and documents from your home computer in advance, and quickly upload and backup all of the data entered via the app. Your flight logs can be securely stored, in a variety of standard formats such as .csv, .txt or .pdf, before you’ve even got back to the crew room. And you’re never left high and dry when you’re in flight mode or out of cell reception, because the last-known data can be synced to your device before you go offline.